Up to 99% of keywords that drive traffic to your website are now hidden by Google Analytics. Does it mean that SEO has become a guesswork? Not at all! We’ve found just the right solution for you. 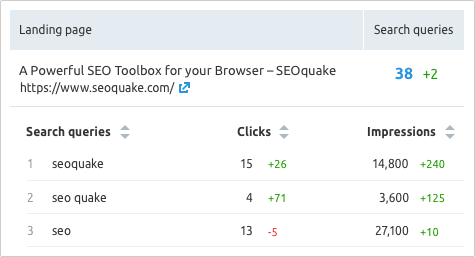 By linking your Google Analytics account to SEMrush, you will get access to a detailed list of keywords every page is indexed for. As soon as you see the keyword itself, you’ll get instant results on its search volume, your position in Google for it and the amount of traffic it brings to the specific page. Google Analytics and Google Search Console are incredibly powerful tools for every SEO specialist. However, combining the two will get you even further. Unfortunately, this is not something you can do with Google solutions. And that’s when the Organic Traffic Insights comes in handy. The tool merges all this data in a friendly manner, freeing you from having to consolidate files in Excel. 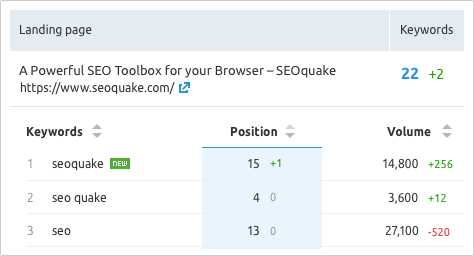 With Organic Traffic Insights you can identify which keywords drive traffic to specific URLs. Moreover, you will get to see which of them actually bring you conversions. Once you know which keywords your website is indexed for, you will also be able to juggle them around. Filter out keywords with the lowest competition level and the biggest search volume and focus on them to get your first results faster. The tool also allows you to explore related keywords and phrase matches. See what stands behind your traffic swings and concentrate your efforts on what is REALLY bringing traffic to your website!